With up to 75% solar reduction and simple fixing systems our Kaynemaile-Armour screens are perfect for residential solar shading. 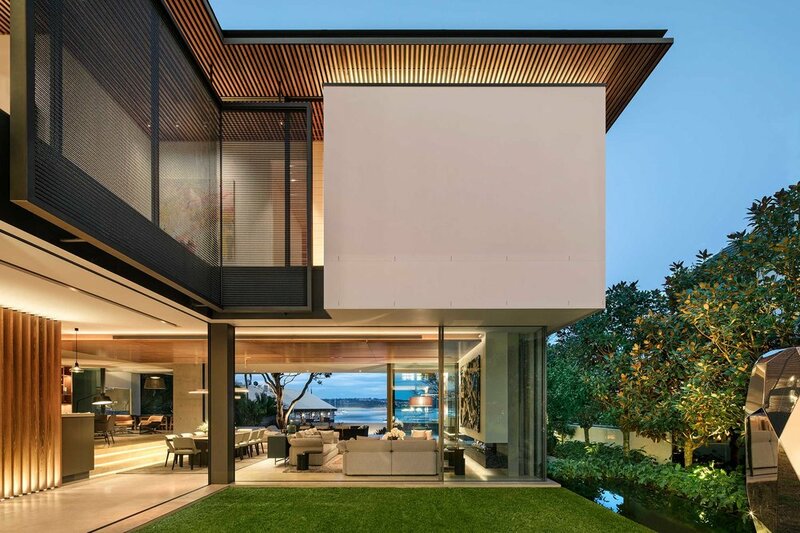 Kaynemaile-Armour screens provide privacy and solar shading for this contemporary home situated in Sydney’s harbourside suburb of Double Bay. 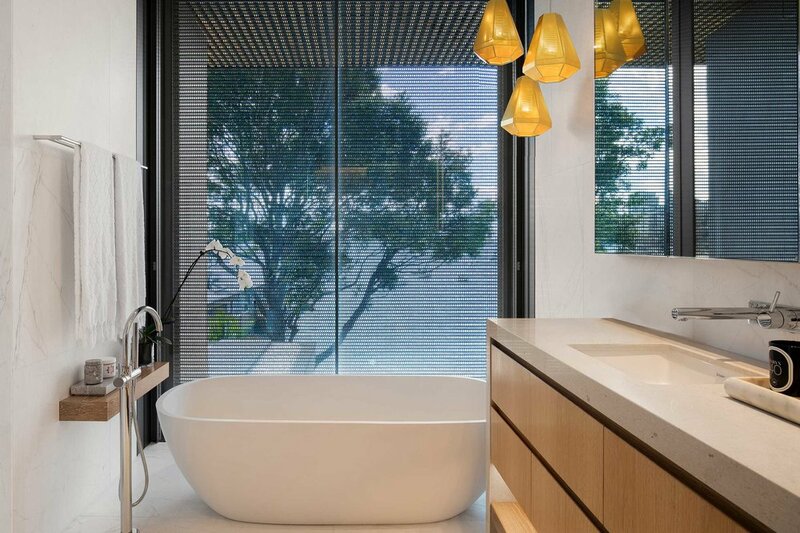 Kaynemaile mesh screens are fitted within simple steel frames and compliment the elegant design and thoughtful material selection. 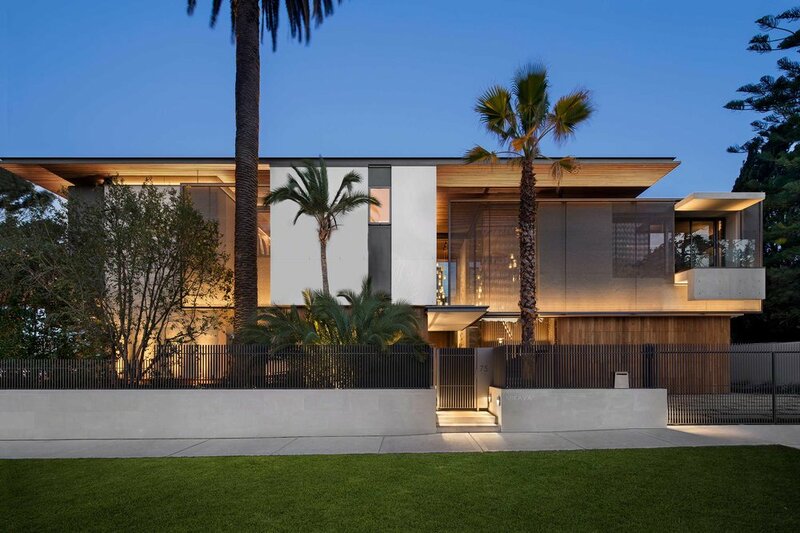 As well as fixed screens, the house incorporates automated solar screens within a solar management system that detects the sun and moves the screen positions automatically—creating an innovative facade solution. 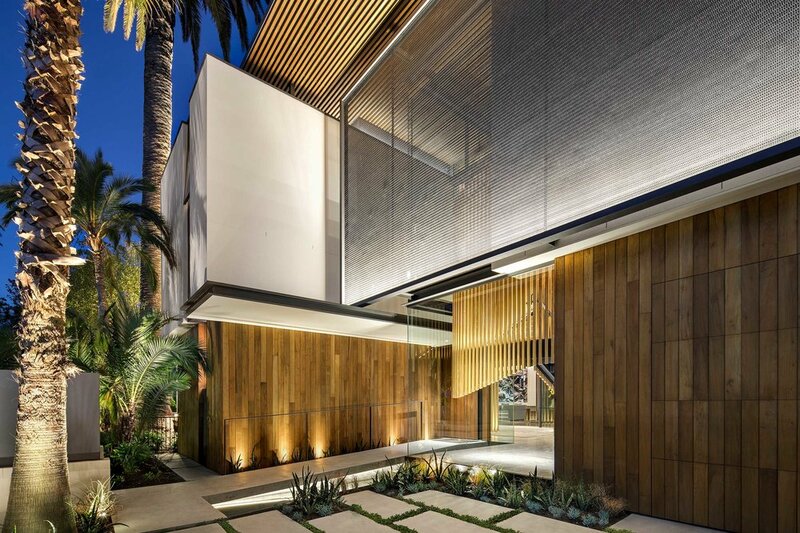 During the night, architectural lighting concealed within the mesh screen frames highlights the range of textures and materials used on the façade. Manufactured from engineering grade polycarbonate, Kaynemaile-Armour's unique properties reduce solar heat gain into the building envelope by up to 75% without losing visual transparency. 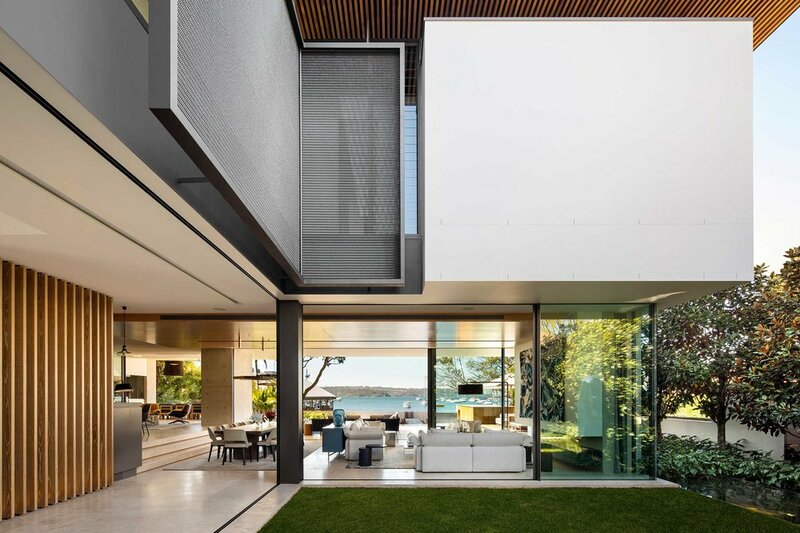 Screens can be made to any height or width without joins.